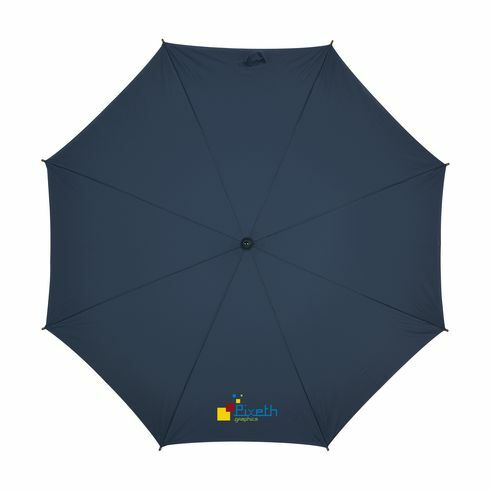 Stylish lightweight umbrella with black metallic frame and wooden shaft with curved handle. The Business Class has 100%, 190 T nylon webbing, Velcro closure and wooden protective studs. 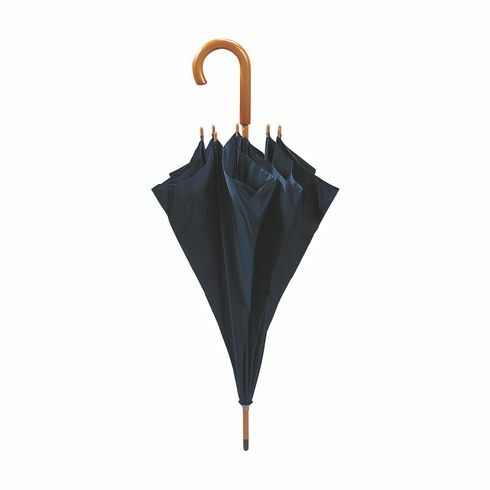 Length 89 cm, Ø canopy 100 cm. 374 g. Your imprint per canopy segment.